Gray TMS Hoodies on sale now for $32. Last day to order is Monday, October 8, 2018. 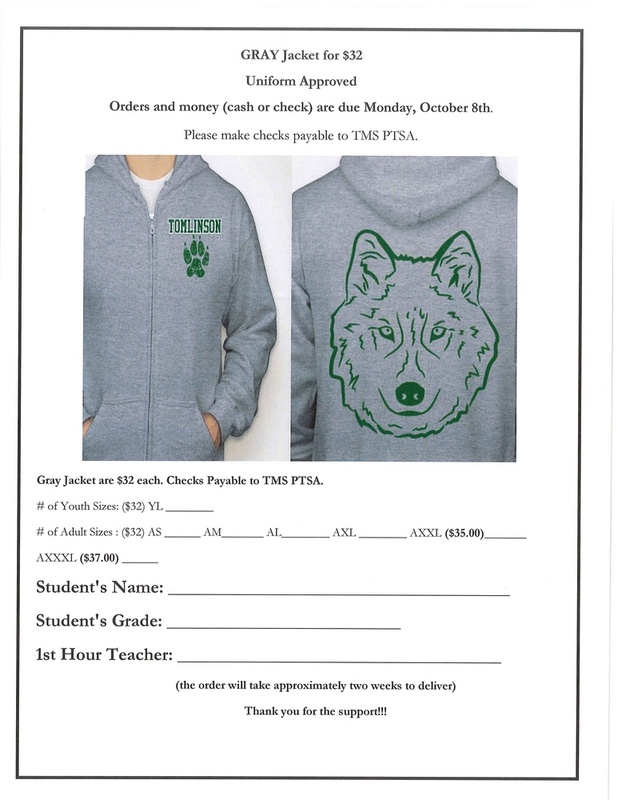 Make checks payable to TMS PTSA.